Acie was born on Mill Creek in Russell County near Cleveland, a son of Doctor Caleb and Nancy (Jessee) Davis, and attended the Glade Hollow Elementary School finishing the 7th grade. He was married to Miss Altha Brooks, of Cleveland, Va. and they have ten children. married W. G. “Bill” Carbaugh July 8, 1922.
ii. Lacy Clarence Davis, Sr.
married Okie Grubb October 30, 1923. 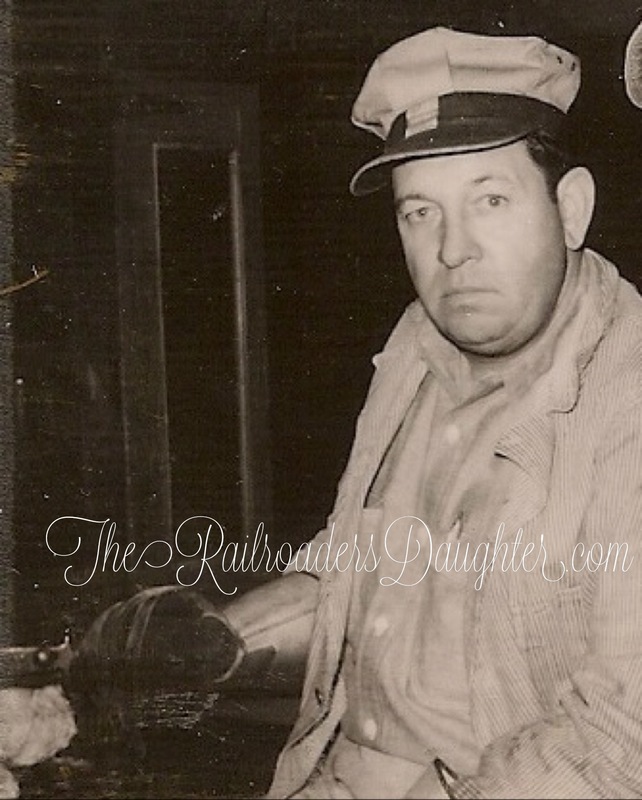 When Altha Brooks Davis was pregnant with Jo Ella, the railroad transferred Asa to Section Foreman in Tazewell, Virginia. They moved the family from Cleveland (Russell County) to Tazewell, Virginia (Tazewell County), in a box car! vii. Ellis Vaden Davis, Sr.
Lucille Davis Buckland was named for her paternal grandmother, Nancy C. “Nannie” Jessee. married (3) Ralph Clery Aft. 1970.
born Abt. 1852; died Abt. 1939 in lived on Copper Ridge Russell County, VA. He was the son of 4. John Brooks and 5. Elizabeth “Betty” Hill. He married 3. Mary Polly Sutherland. 3. Mary Polly Sutherland, born May 8, 1858; died October 26, 1891. She was the daughter of 6. Jessee Sutherland and 7. Mahala Kiser. This cemetery is located about six miles West-northwest of Lebanon, about two miles West of Cleveland and three quarters of a mile East of Carbo. It is on the South side of the Clinch River on a slight rise near the mouth of Mill Creek stream, and on the South side of the NS Railroad. Access is by four-wheel drive vehicle or by foot. By vehicle, follow US Rt 82 from Lebanon toward Cleveland; turn left onto State Rt 645 just before the entrance to Cleveland Elementary School and go to the intersection with State Rt 640 at Jessee’s Mill. Just prior to the intersection, a poorly identified dirt road turns back to the right (North) amd follows Mill Creek to the Clinch River. This road is very rough and rutted, and it is necessary to ford the creek at two locations. At the bottom of the descent, where the road forks, bear right and look for an old chimney on the left near the road. The cemetery is across the large flood plain on the rise to the right By foot, follow the Norfolk Southern tracks from Carbo eastward along the Clinch River for about one and one-quarter mile to the Mill Creek flood plain, which is easily identifiable as the only large flat area on the right (South) side of the tracks. The cemetery gate can be seen clearly from the tracks at a point where a gravel railroad crossing has been provided. (The date of death is as it appears on the head stone, and is in conflict with the date shown on the Memorial Marker. Daniel Sutherland was the son of James and Sarah Buchanan Sutherland. His wife, Phoebe Fuller, was the daughter of Jesse and Betsy Lee Fuller. Jesse Sutherland was Daniel’s son, and Mahala Kiser was Jesse’s wife. Exact relationships of the others named on this Memorial Marker are not known. An undetermined number of linear sunken depressions, most likely graves, were found to the south and to the east of the Marker. There also was an area of disturbed ground just southwest of the markers of Joseph, Rosa and Dallas that looked as if someone had very recently dug up an area about 30 feet by 20 feet and replaced the earth. We could not determine the cause of this large disturbed area. i. Armalda Vernon “Malvie” Brooks born October 10, 1880; died May 25, 1973 in Buried at Russell Memorial Cemetery, Lebanon VA; married Dock Emmett Cook. ii. Emory Luther Brooks, born May 10, 1883; died October 29, 1959 in Buried at Russell Memorial Cemetery, Lebanon VA; married Sarah Margaret “Mag” Jessee. iii. Altha Rudolph Brooks, born October 15, 1884 in Cleveland, Russell County, Va.; died December 2, 1980 in Tazewell County. Va. Maplewood Cemetary; married Asa C. Davis August 20, 1902 in Bristol, Tennessee. iv. Emily V. (Aunt Em) Brooks, born August 4, 1886; died April 11, 1971 in Buried at Russell Memorial Cemetery, Lebanon VA; married Sutherland. v. Rose Belle Brooks, born February 14, 1888; died April 5, 1980 in Buried at Russell Memorial Cemetery, Lebanon VA; married William Ellis Jessee. vi. Deward Brooks, born Bef. October 1891; died 1966.
i. Lula Brooks, married Roy. ii. Maude Brooks, married Scott Fergison. iii. Hobert Ezekiel Brooks, born January 1, 1900; died March 31, 1971 in Buried at Russell Memorial Cemetery, Lebanon VA; married Hattie Russell Bausell. iv. Effie Brooks, married Gene Owens. v. Audra Brooks, married (1) Dishman; married (2) Pennington. vi. Clayton Brooks, married never married. vii. William Vaughn Brooks, born April 15, 1909; died July 27, 1975; married Virginia Elizabeth Cook. viii. Lora Kathleen Brooks, born Abt. 1918; married Bailey Dye. Kathy haynes visited with Kathleen in August 2008. 4. John Brooks, born Abt. 1815; died Abt. 1910 in Copper Ridge. He was the son of 8. Constantine (Constantnople) Brooks and 9. Rutha Daly. He married 5. Elizabeth “Betty” Hill. 5. Elizabeth “Betty” Hill, born Abt. 1820; died Abt. 1914.
i. Alfred Brooks, died in lived on Little Fox Creek in Buchanan County, VA; married (1) Becca Barnett; married (2) ? Booth. ii. Martin Brooks, died in died in the Confederate Army at Jacksboro KY iii. Judy Brooks, died in d. of typhoid fever Knoxville, TN. iv. Sarah Brooks, died in d. of typhoid fever Knoxville, TN. v. James Brooks, died in lived in Rutherford County, NC; married Elizabeth Brooks in married cousin. vi. John Brooks, died in lived in Russell Fork; married Martha Boyd. vii. Charles Brooks, died in lived near Carrie, VA; married Nancy Boyd. viii. William Brooks, born Abt. 1852; died Abt. 1939 in lived on Copper Ridge Russell County, VA; married (1) Mary Polly Sutherland; married (2) Orpha Narcissus Jessee. ix. Solomon Lemuel “Sol” Brooks, born January 17, 1856 in Big Rock Creek under Roan Mt, Mitchell Co, NC; died in Trammel, VA; married (1) Elizabeth Williams; married (2) Rosanna Amburgey. x. Joseph Brooks, died in St. Paul, VA Whetstone Mountain, VA; married Alverda “Verta” Kiser. xi. Mary “Polly” Elizabeth Brooks, born in lived near the head of Frying Pan Creek, Russell County; died November 1906; married Ezekiel Sutherland. xiii. 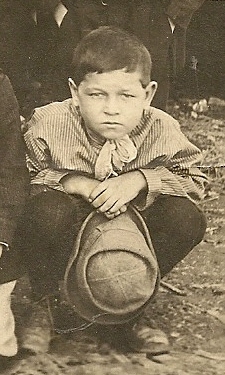 Benjamin Brooks, died in Wilder, VA.
6. Jessee Sutherland, born April 15, 1830; died October 10, 1913 in Russell County VA. He was the son of 12. Daniel Sutherland and 13. Phoebe Fuller. He married 7. Mahala Kiser September 18, 1851. 7. Mahala Kiser, born October 18, 1833 in Russell County VA; died January 20, 1926 in Russell County VA. She was the daughter of 14. Joseph Kiser Jr and 15. Mary “Polly” Childress. 8 Ellis Vaden “June” Davis, Jr.